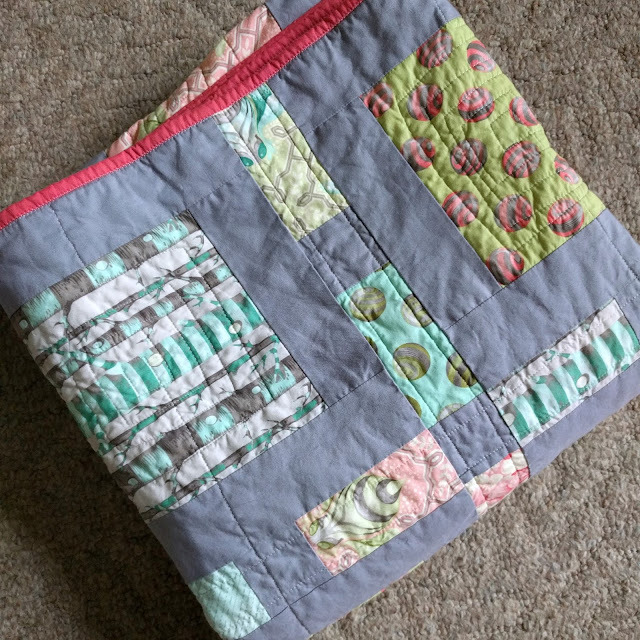 I just love checking off a quilt from my WIP list! A former co-worker will be retiring this week from working at my first library I ever worked for. So my mom (who also works there) asked me to make a quilt. We chose the fabric together and my mom picked out the Framed pattern from Simply Retro. I love how stunning this quilt looks. The gray background really works well with Tula Pink's Bumble collection. Gray is really becoming a new go to for background, white is fine, but gray is my favorite right now. For the quilting I did a combination of FMQ and some straight line with my walking foot. 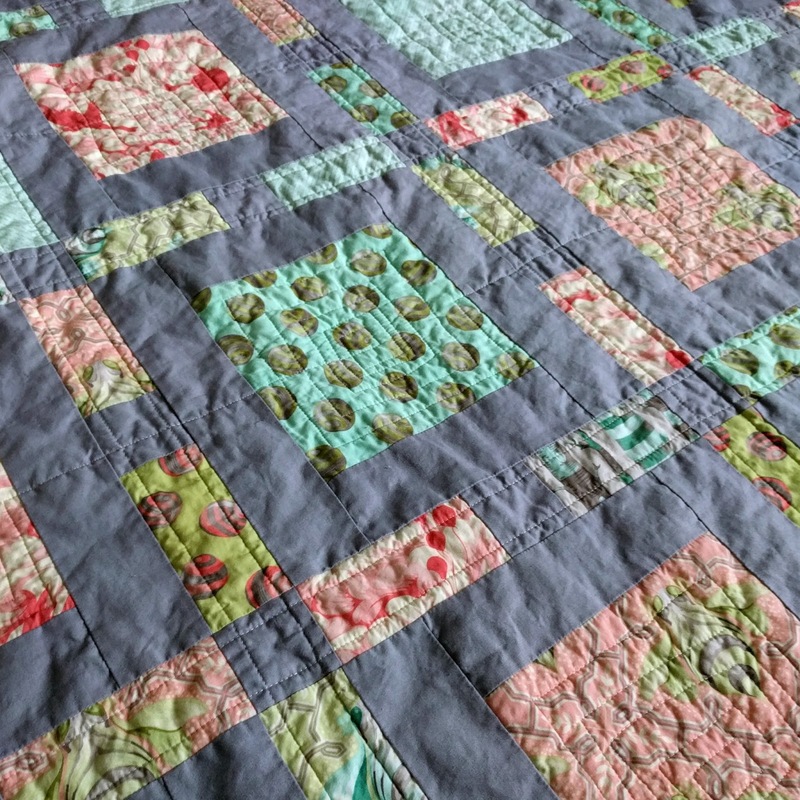 I stitched the sashing to help stabilize the quilt sandwich. 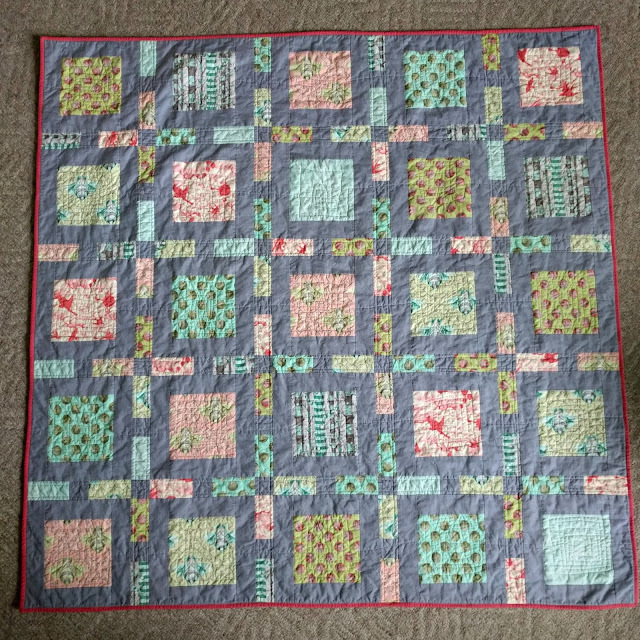 Then did some FMQ in the framed squares doing a square in a square pattern. All ready for gifting. I love having the ability to create a quilt for a retirement gift. I'm sure this quilt will be cherished for years to come. This is lovely! I'm also a big fan of grey as a background color. I love the effect it creates when paired with fun colors! I'm sure your former coworker will love it! That grey does go nicely! Beautiful quilt, it looks so cuddly and soft. I am sure it will be loved. Really lovely! The design Is a nice one for showing off pretty fabrics. What a lovely quilt! It manages to be bold while still soft and feminine. Very pretty, and I'm sure it will be cherished! The quilt will definitely be a great start into retirement.